CONTROVERSIAL legislation in 1982 requiring the compulsory fitting of rollover protection structures (ROPS) on tractors has turned out to be one of the great success stories in Australian farm safety. The mandating of ROPS on tractors is credited with being the single most important factor in producing a 70 per cent reduction in rollover fatalities since that time. When the law was introduced, all tractors built after 1981 had to be fitted with a compliant ROPS, while those built before were exempt. Since then, further laws were passed in 2013 removing the exemption for pre-1981 tractors. Commenting to Grain Central on the impact of the historical ROPS legislation during this week’s National Farm Safety Week, Farmsafe Australia chairman, Charles Armstrong, said the compulsory fitting of ROPS to tractors had been a huge success. He said it effectively took tractors from being the stand out cause of farm fatalities to being a much less significant factor. Mr Armstrong said in recent years quad bikes had risen to become the biggest single killer on farms, despite a small-figure shift in last year’s national data that saw tractor deaths jump to 13, slightly above the 11 fatalities from quad bikes. Reflecting on the current contentious debate over the fitting of crush protection devices (CPD) to quad bikes, where safety authorities and farmer groups support the move while quad manufacturers oppose it, Mr Armstrong said there was similar debate over the ROPS issue back when it was being proposed in the early 1980s. “The machinery manufacturers opposed the adoption of ROPS on tractors, left, right and centre, with the same old story: “they are dangerous and will kill you”,” he said. “Yes, ROPS might kill a small number of people in the same way a crush protection device on a quad could well pin someone, but it will save hundreds more lives in the end. University of Sydney honorary associate professor and ag safety proponent, Tony Lower, said the mandatory fitting of ROPS to tractors had made an enormous, positive difference to farm safety. “Having the ROPS in place has been critical to ensuring we reduce the deaths from rollovers,” he said. “Unfortunately, we still see some fatal cases. 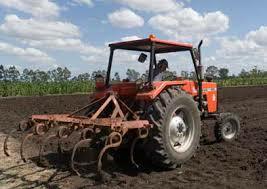 Roughly around 20 per cent of tractors aren’t fitted with ROPS. People probably have old gear sitting in the back paddock and haven’t got around to fitting it with ROPS. So, we clearly prefer that ROPS be fitted to everything,” he said. Mr Lower said a number of studies over the period from when ROPS were introduced through to recent times suggested there had been a long-term downward pattern in the annual number of fatal tractor incidents and reductions in the proportion of rollover related fatalities. Typically, the studies found fatal tractor injuries involved rollovers, runovers and other types of incidents. One of the earliest studies assessing fatal injuries in 1982–84 indicated that on average there were 34 tractor fatalities per year, with 70pc involving rollover. A subsequent 1989–92 study reported rollover fatalities had dropped to 55pc, runovers 30pc and other 14pc, with 1pc unknown. A further study some 10 years later in 2001–04 revealed deaths from rollovers had dropped even further to 34pc, runovers 35pc and other 31pc. Backing up those figures, a review of Australian farm tractor deaths from 2001-16 by Mr Lower and colleague, John Temperley, found there were a total of 204 fatalities with 106 (56pc) involving runovers, 62 (33pc) rollovers, 22 other events and 14 cases where the mechanism was unknown. Of the 62 rollover incidents, the majority (70pc) occurred on tractors with no ROPS. Nine were fitted with ROPS and a further two had homemade ROPS not meeting existing Australian or equivalent Standards. Of the nine fatal cases where a compliant ROPS was fitted, seatbelts that may have assisted in maintaining the operators in the safety zone afforded by the ROPS were not present or utilised. “In the incidents we have reviewed, there is no doubt seat belts do play a very important role,” Mr Lower said. While tractor rollover incidents have been reducing, runovers have increased from 30pc in the early 1980s to being responsible for around 56pc of today’s fatal cases. Mr Lower said that highlighted that the next thing tractor safety campaigns needed to address was the risk of runovers which had come to dominate the statistics. “I think the critical thing is to fit safe access platforms so people are getting on and off tractors outside the line of the rear wheel. That would go a long way to reducing the sorts of incidents where people are either falling off the steps and going under the wheel, or are trying to hot start the motor,” he said. “At this point in time it is just a process of trying to ensure that people are aware that this continues to be an issue, particularly given the ageing of the farming population. We are not as fit and agile as we once were. All those things can play a role in increasing the level of risk, particularly in runover cases.